"This is actually really funny to me!" Has a hole been torn in the space-time continuum? The Internet Was Asked To Photoshop This Couple's Photo. Silliness Ensued. Sorry guys, you've been trolled. It's okay to take an "it is what it is" approach to the parts of your body that you're not so happy with. Send that part of your body lots of love. Tell that part of your body you love her because she is you and you're pretty awesome. Female students at a Utah high school are none-too-pleased after their yearbook photos were altered to make them more conservative. Students at Wasatch High School were surprised to open their yearbook and find that sleeves had been added to their arms, and that necklines were raised. The company featured this swimsuit model on its website — it looks like a massive chunk of her midsection is missing. Photoshop fails have become more common than ever, with various retailers chopping off limbs and backsides. So it's really no surprise that Target is the most recent culprit to distort a model. 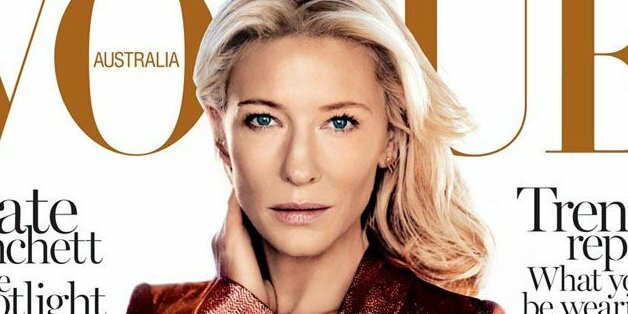 PHOTOS: What Has Vogue Done To Cate Blanchett's Face? Just like the rest of the world, we get pretty giddy whenever Vogue unveils its new cover girl each month. Naturally, we were pretty happy to see Claire Danes' tough, yet beautiful, face staring back at us on the August 2013 issue yesterday.